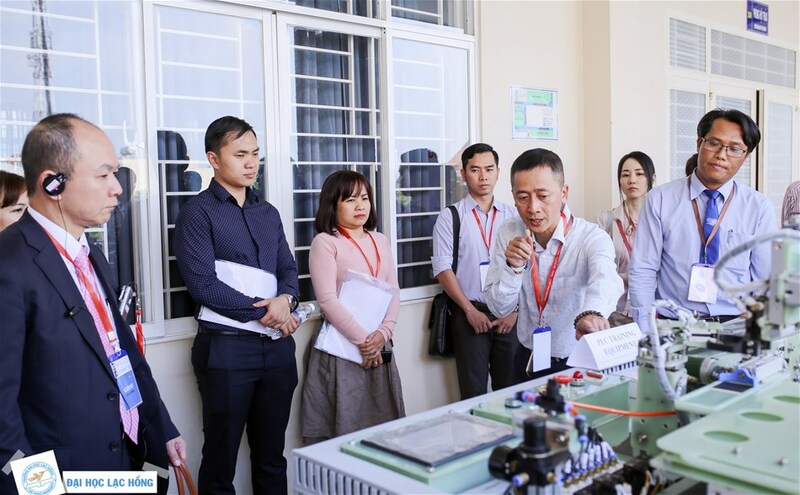 Recently, LHU's Faculty of Mechatronics - Electronics as a member of the "Coordinator Network" program organized by Meti Kansai, AOTS and Dong Nai province People's Committee on January 14 hosted a Conference on cooperation exchange between enterprises and the University. With the participation of more than 20 Japanese enterprises, the Conference was sponsored by Japan External Trade Organization (JETRO). The Conference was started with Professor Nishiyabu Kazuaki's presentation from Faculty of Science and Technology - Kinki University. He presented the "The key to success" of "Implementing links between businesses and schools" in human resources training, production improvement and research cooperation. 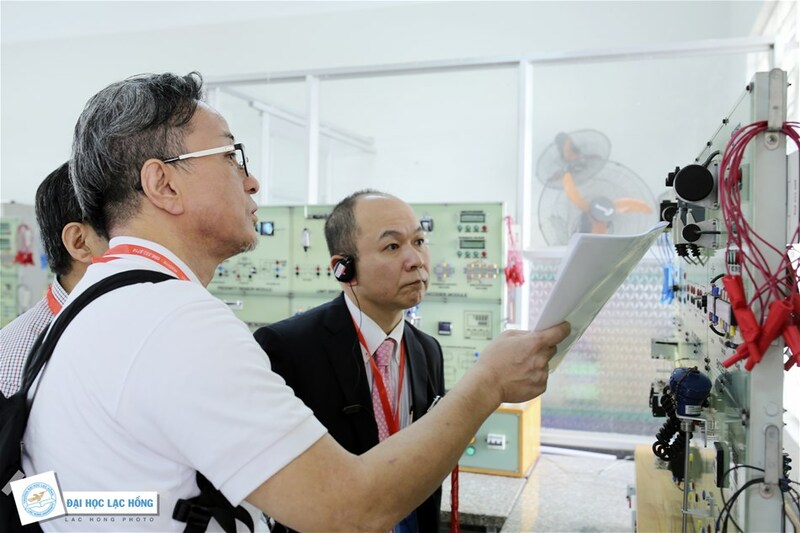 To help participating delegates understand more about achievements in technology transfer activities between the Faculty of Mechatronics - Electronics and businesses, Mr. Pham Van Toan - Acting Dean introduced and supported the delegation to visit practice rooms such as Lac Hong Open Workshop and Robotic Technology Center. Speaking at the Conference, Vice Rector Nguyen Vu Quynh highly appreciated activities and support from Kansai Region, including coordination and promotion of building mechanisms to enhance the participation of enterprises in training. As a result, in the past years, the project has significantly contributed to the innovation and improvement of the education quality at the University. 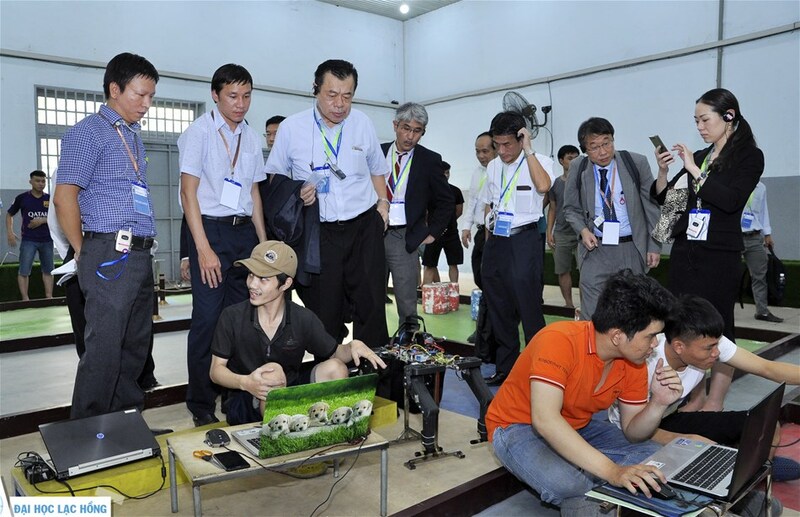 Since 2013, Dong Nai provincial People's Committee and METI-Kansai have signed an economic cooperation agreement in which the big goal is to develop supporting industries and carry out model projects to develop Dong Nai become center of production in Vietnam. LHU is the first university of the province with strengths in training technical field and providing human resources for the locality. LHU officially participated in "Training human resources for Japanese enterprises in Dong Nai" project in July 2014. 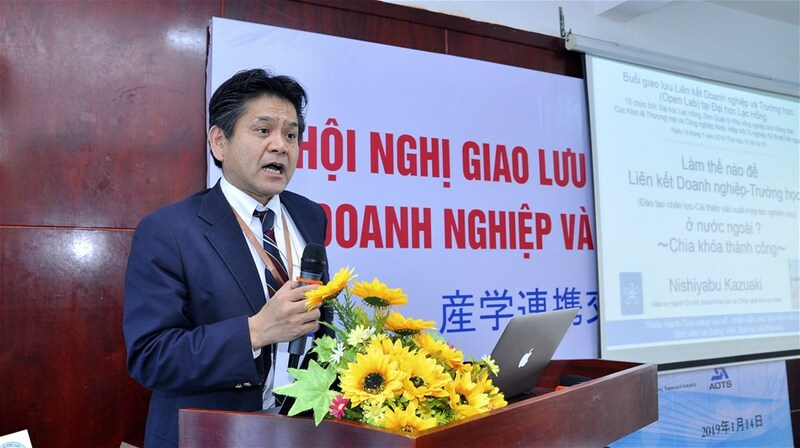 After 4 years of implementing the project, the cooperation between enterprises and schools is one of the important elements in LHU's human resources training strategy, while meeting the demand for human resources for Japanese firms in Dong Nai. The aim of this conference is to meet and build ties between the University and businesses, thereby improving the quality of human resources training, creating cooperative relationships in scientific research and production improvement. It also gives students many internship and career and opportunities at above enterprises.